When you look for a job the first thing a potential employer is going to see is your CV. This one document is very important to your future career and working life. It is important that you know how to grab the attention of your potential employer and the recruiters in a very positive manner. There are a number of tools that you can use to create a CV that will offer recruiters everything they need and grab their attention. With great mobile broadband deals these days you can even make your CV while commuting. 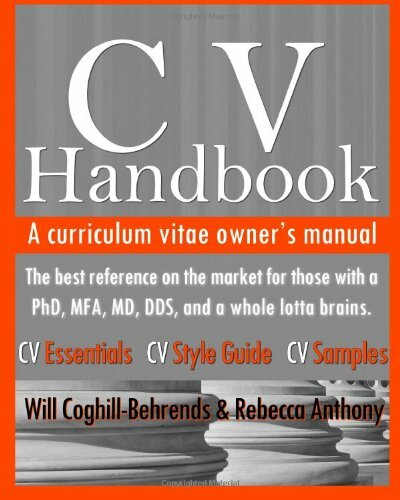 CV Maker is one of the simplest tools that you can use to create your CV. This tool offers support in 17 languages which ensures that anyone can use it and you can send it to anyone. The tool works on an easy to use ‘fill in the blanks’ system. Once you have filled in all the necessary information you can rearrange the sections to suit yourself. There is also the possibility of adding in your own sections over and above what the system provides. You need to register with the service to save the template of your CV. Once you have an account you can edit your document as and when you need to. You can also download your CV as a PDF file, in HTML or TXT formats. Most people have heard about LinkedIn which is a networking site for professionals. If you don’t already have a LinkedIn account then you should look at getting one. This website is one of the best places to start building your network and a portfolio about yourself. Most of these tools will use LinkedIn to easily import all of your information and create your CV. Once you have fully completed your LinkedIn profile you can export this to PDF. When you do this you will be provided with a very professional looking document that you can send to people. It is very easy to export your profiles as there is an Export to PDF option in your edit menu. When you use Online CV Generator you will not have to open an account. One problem with this tool is that you are not going to be able to import your data from other websites like LinkedIn. You will need to input all of the information manually. However, this is made slightly easier by the easy to use form filling system. Once you have filled in all the information which ranges from basic to advanced information you can save your CV. The document you produce will be in PDF format and you can save it to your computer. Resunate is a CV creation tool that you need to open an account with. There are free and paid for accounts to choose from. When you get the paid account you will have more options for your resume, but most people find that the free version gets the job done. Once you have registered you have a number of options.. You can upload your old details, import your LinkedIn account, or start from scratch. Resunate offers a number of templates that you can choose from.. You can also modify the fonts that are used. Once you have made your CV you can save it on the account for later editing or you can download it as a PDF file. If you want to add a bit of colour to your CV so that it stands out you should look at using DoYouBuzz. When you use this tool you can choose one of the templates that they offer and change the colours scheme. When you register with this tool you are going to be able to import your LinkedIn profile information. Of course, you will also be able to enter all of your information from scratch. Once you have finished, you have a number of download options. You can download it as a PDF, a Word document or an OpenOffice document. If you are not keen on any of these options you can also share your resume with the world via a link to your account. When you use the LiveCareer CV builder you will be presented with every feature that you could possibly need. You will need to register with the service in order to save and edit it at a later date. When you create your CV you can choose from the range of templates that are on offer. You can also import your old document and work on this with the use of the spellchecker and other options. Some of the tools that you get with this system include the editing of format, spaces and margins in your template. When you are done you can email, print or download the finished product. You can download it in 5 different formations which include TXT, DOC, PDF, RTF and HTML. If you want to store your CV online and then redirect anyone to it with a link then you should look at Resume.Com. Sharing with people via a link is very easy with this tool. When you create your CV with this tool you will be able to add sections and follow the examples that they have. There are also a number of tips for how you should format your document and what you should be including. Once you have completed all of the section you can combine this into your CV. When you are happy with the final product you can publish the CV and share it with people through a direct link. You can also download a PDF or DOC copy of the CV. If you want to create your CV online then there are a number of different tools that you can look at. All of these tools will offer a different user experience. Some of the tools offer better editing while others are easier to use.